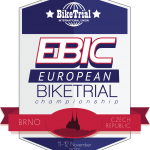 The European Bike Trial Indoor cup will take place this weekend (10th-12th Nov) in Brno (CZ) and will feature some of our UK riders two of which, Adam Morewood and Oliver Weightman will be looking to add the European title to the World titles they won earlier in the year in Pujalt (Catalonia). The other riders also competing are, Eddie Weightman, Oliver Cooper, Elliot Cooper, Bailey Dacker, Reece Seymour and Scott Wilson. You will be able to follow the action on iSport365 who will be live streaming the event all day!, click on the link below.